We professionally clean aircraft cabins from 15 to 550 seats. From quick turn cleans to more extensive, heavy-duty cleans, to detailed cockpit or flight deck cleaning, we can tailor our service to meet your specific needs. No one cleans carpets more thoroughly than AccuFleet. We use the industry’s most advanced truck-mounted carpet cleaning system specifically engineered for aircraft and jetway applications. These self-contained units provide unrivaled cleaning power and deep-down suction to remove ground-in contaminants and restore your carpet’s appearance. 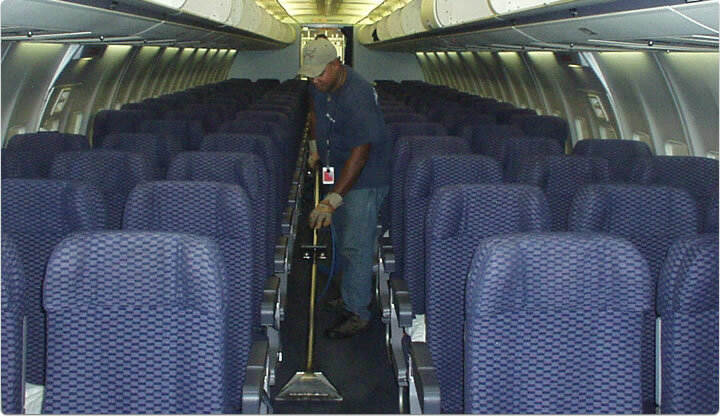 We clean carpets in the galley, on the center aisle and throughout the aircraft, either onboard or in our own facility. We also schedule and track each carpet throughout your entire fleet to ensure they remain consistently clean and odor-free. We clean, sterilize, test and repackage all types of headsets. To help meet your FAA requirements for safety, AccuFleet offers experienced personnel to perform cabin audits and/or security checks. 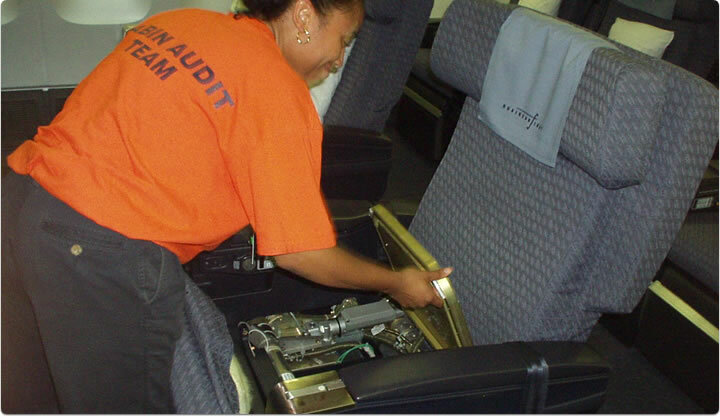 We ensure that each seat is carefully inspected in accordance with your airline’s approved procedures for each type of aircraft, and that any broken seals, extraneous items or security issues are promptly reported in accordance with your directives.